The Official website releases an anime teaser PV and key visual for ‘Muhyo & Roji’s Bureau of Supernatural Investigation,’ a manga written by Yoshiyuki Nishi. The anime will air July 2018 on BS Sky Perfect TV and Animax. 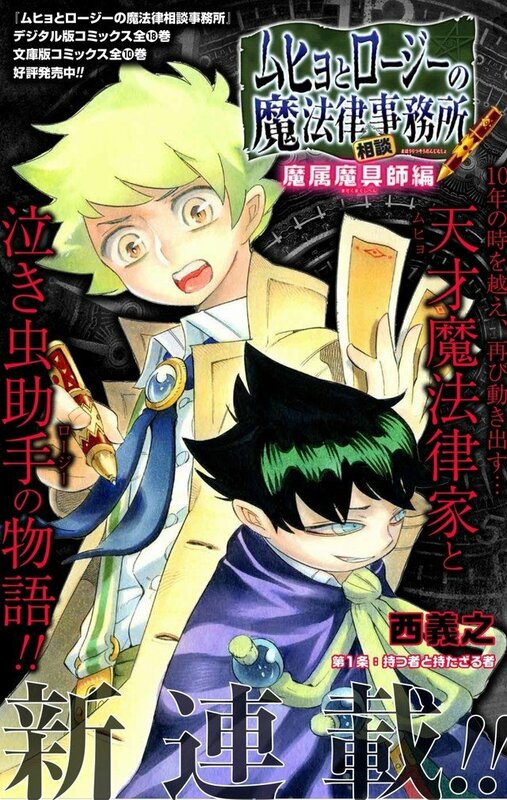 Muhyo and Roji depict the activities of a young genius Magical Law Executor, Toru Muhyo and his assistant, Jiro Kusano. While they track and find ghosts, they also send the spirits to heaven or hell depending on the account of their lives according to the magical law book. Furthermore, at the Animax booth of “AnimeJapan 2018” that is to be held at Tokyo Big Sight on March 24th and 25th, a special corner will exhibit coloured art, duplicate original drawings and more. Survival Suspense Shounen Manga ‘Madmen’ – Volume One Release. The comedy supernatural manga ran for 18 volumes in Weekly Shounen Jump between 2004 and 2008. Ten e-book volumes of the manga are also available. Shueisha published a two-volume novel adaptation by Saya Amou in August 2007 and December 2008. Also, Nishii is launching a sequel manga on Shounen Jump+‘s website on Monday. Additionally, VIZ Media licensed the series in English and published all 18 volumes from 2007 to 2010. Mob Psycho 100 anime gets a 2nd season, an announcement on Twitter.